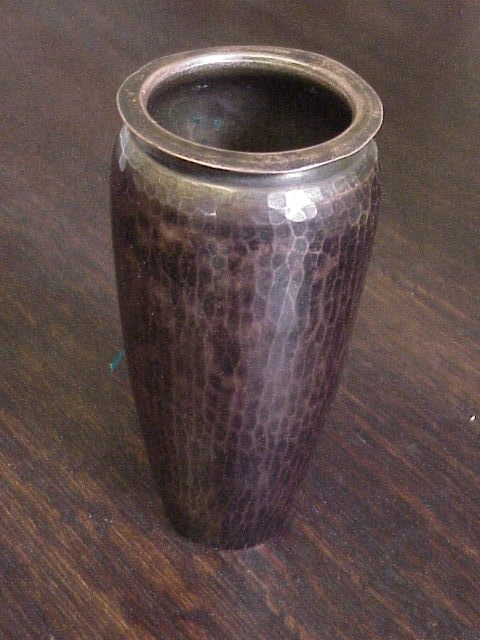 Roycroft arts & crafts hammered copper vase, 5 1/2" tall. 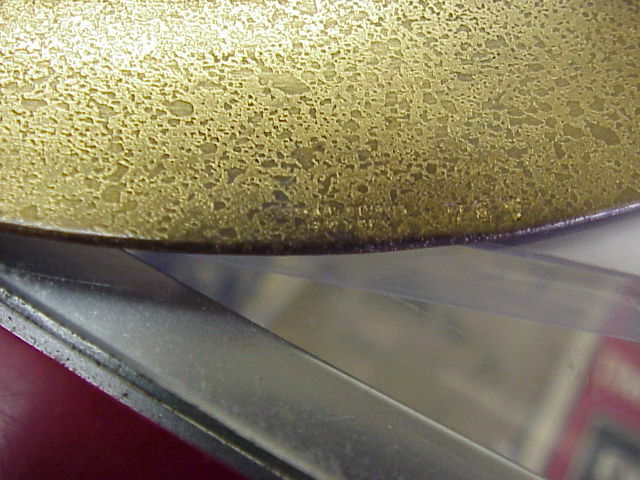 The top lip is slightly out of round and shows good wear. A few scratches, small but there along side. Overall a nice piece of arts and crafts era metalsmithing by the Roycroft group of NY. Shipping listed is ups or us mail. 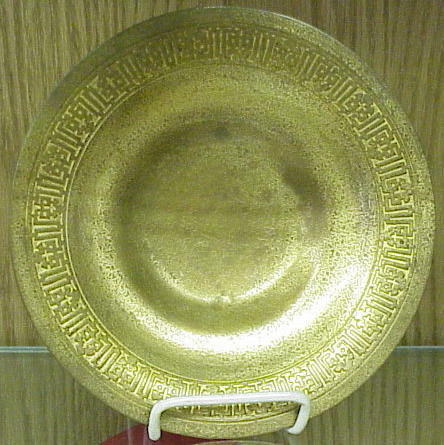 Fine bronze charger or dish by Tiffany Studios, 1707. 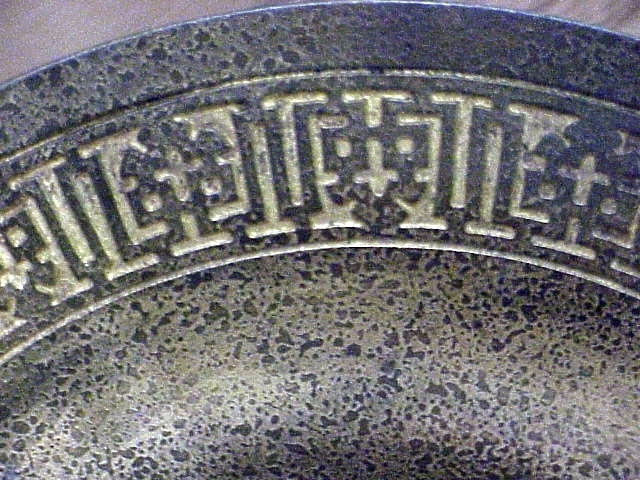 Arts and crafts repeating border with rich colored bronze, color of closeup is not true see other photos. 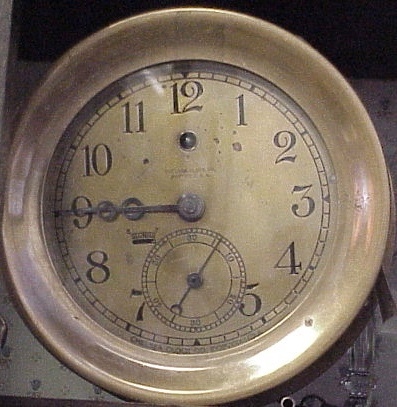 Approx 9"
Chelsea ship’s clock WWI vintage, researched to 1918. Serial number matches case 8 movement. Works fine for 8+ days but runs slow 4 minutes in this time. The speed adjustment on dial is not working, we have not gone through clock to see if it is broken or disconnected, priced accordingly. 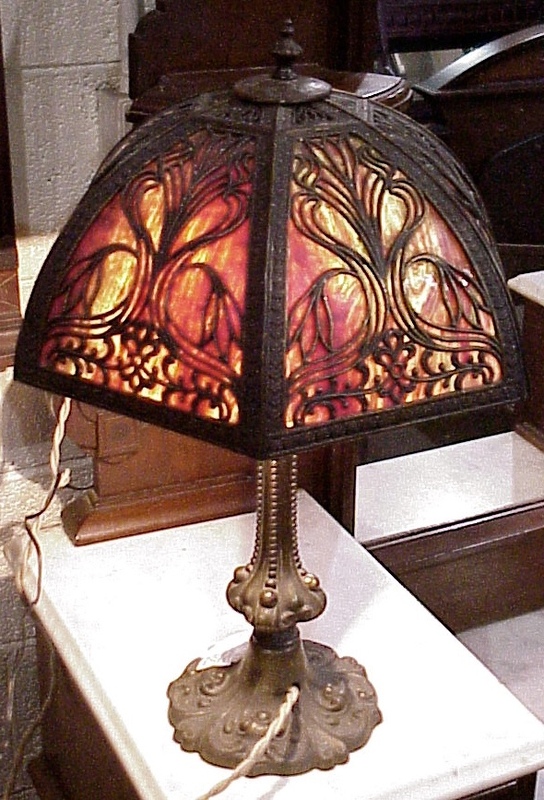 Beautiful slag glass panel lamp with art nouveau floral shade. Glass is colorful oxblood glass. Shade is approx 12 “. Estate piece does need a good proper cleaning, 2 panels are broken. 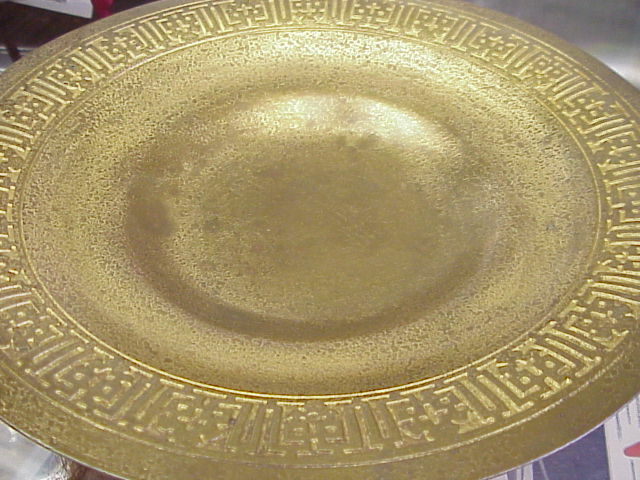 Shade frame is of brass/bronze. Nice Kay guitar from the 1960’s. Good honest condition was used by a player. 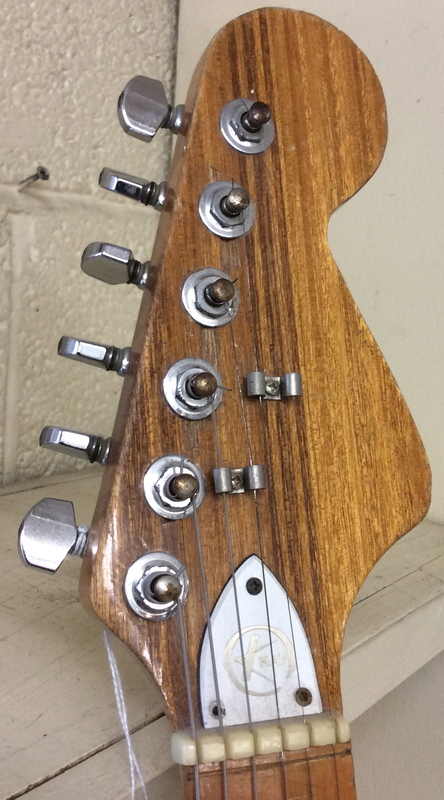 Strat style, natural wood.